Helmet of salvation - thank you Lord for the precious gift of salvation! Jesus dress me in your thoughts, grant me the ability to capture my thoughts and I allow you Lord to dispel the wrong thoughts. Open my eyes to see what you want me to see, open my ears to hear what you want me to hear and place a guard upon my tongue so that only words of truth and life spring forth. Breastplate of righteousness - because of Jesus’ great sacrifice I have been made right with God. This breastplate protects my willing, courageous and bold heart! God create a new heart and renew a steadfast spirit within me (Psalm 51). Help me to have a tender responsive heart, full of Your compassion and grace (Ezekiel 11:19). Belt of truth - thank you Lord for Your perfect truth in my life. Seep Your glorious promises deep into every fibre of my being! Shoes of peace - which come from the Good News and enables me to be fully prepared. Flood me with a peace that transcends my own understanding and guards my heart and mind (Philippians 4:6-7). I absorb God's peace into every cell of my body. Shield of faith - I praise you Lord that you enable me to quench every fiery arrow from the enemy. Grant me discernment like never before to enter into the spiritual battle around me. Sword of the Spirit - thank you God for Your living active word! Lord I ask that You enable me to wield Your words wisely. 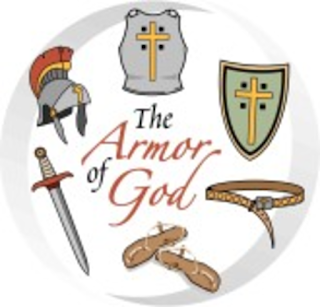 With this armour on I will pray unceasingly in all situations and God strengthens me to keep fighting the good fight! As I’ve been pressing into God for my restoration and spending more time with Him I am seeing my spiritual strength growing. 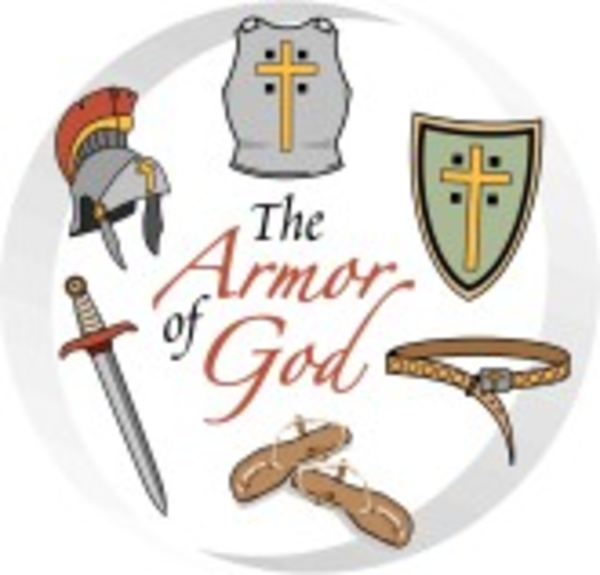 I’m seeing the effects and importance of the armour of God. I realise that before I go into battle the armour is the most important thing for me to wear. The times when the circumstances surrounding me seem contrary to what I’m promised I’ve been bold enough to declare God’s promises. It’s been a huge journey where I’ve see that my faith has grown and been strengthening, which results in this greater confidence, my strong shield of faith had developed. The early shields such as the Zulu shield were made of hide and in particular cowhide from the Nguni cattle. The majority of Anglo Saxon shields were made from wood as this was in abundance in Britain at the time. The most common types used were ash, oak, maple, alder, willow and poplar wood. Roman soldiers used a scutum which was a large shield consisting of two sheets of wood glued together and then covered with canvas and leather. Because of its size it was considered to be a body shield but was extremely heavy – 10 kg. The Greek soldiers, known as the Spartan, used a large round shield call an Aspis. This was made of several layers of wood and bronze with leather between to absorb shock. As I reflected upon the history and variety of shields I saw my own journey of faith started with me having a ‘flimsy shield of faith’. Then when I rededicated my life to Jesus I grew in my faith, I began to learn more about what it meant to be a Christian. As I pressed into God through my illness and losses my faith felt so small, tiny and weak! I questioned and doubted so much. Now that I've experienced a touch of God I can reflect back and see my journey. I can see how far God has grown me and how my faith is strengthening day by day. I am so encouraged that even a small amount of faith can do wonderful things as promised in Matthew 13:31-32 and Matthew 17:20.
as she laughs with joy over the latter days! " My prayer is that whatever stage your faith is at you can know that God is strengthening you and that even the smallest amount of faith can do wonderful things! For most of my life I struggled with sickness. The 2 dominant afflictions were endometriosis (for 28 years) and adrenal fatigue (I was severely debilitated for 28 months and the recovery has been a journey of 11 months so far). In September 2016 God declared healing over my life. This set me on a path of restoration and transformation.